A MINI a with a trunk? It could be coming according to Peter Schwarzenbauer, BMW board member in charge of MINI. At the recent convertible launch Mr. Schwarzenbauer was surprisingly candid with what the brand is considering for its 5th volume model. 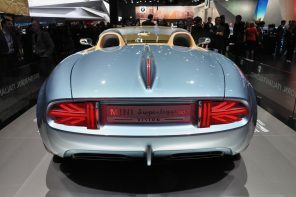 And it’s not good news for the beautiful Superlegera concept. While car a based on the Superleggera electric roadster concept is still on the table (as a halo) the business case is proving difficult. “The volume would be low, but the price would be considerably higher than MINI’s current vehicles”, he said. 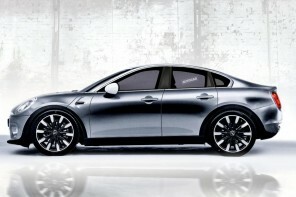 Economically it is easier to put a sedan on paper than a great halo car,” Schwarzenbauer said. “We have to look at all the options. “As you know, halo cars are economically not always great. It is a trade-off: How much does it do for the brand, and how do you make it feasible?” he said. MINI must weigh all options. Schwarzenbauer Continued that sedans make up “a huge segment” and could be another step in Mini’s effort to move part of its lineup from subcompact to compact. A decision on the fifth volume Model is expected sometime this year. The one thing completely off the table? A small pick-up Schwarzenbauer said. What’s Next After the Coupe and Roadster Are Gone?